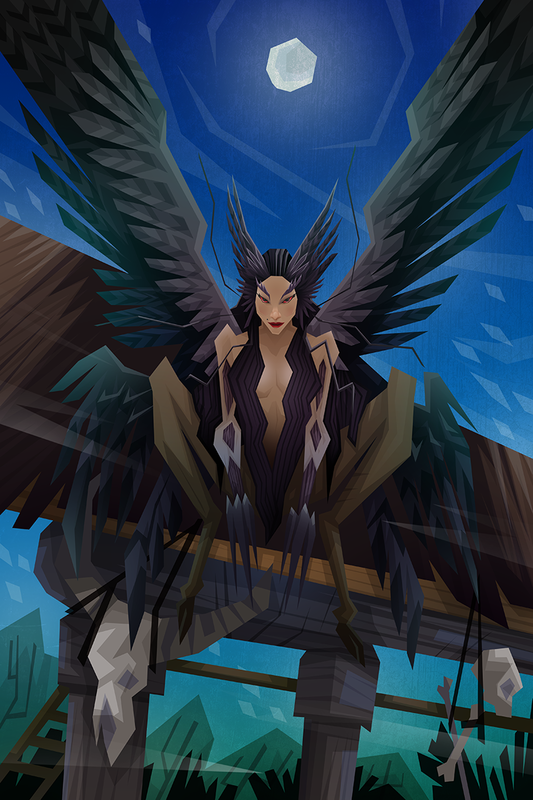 Boroka or Buruka is often described as a stunningly beautiful human witch by day, and shape-shifts into a harpy-like creature when it goes out to hunt at night. Her body transforms into either a dog or a horse, she grows sharp talons, and from her back sprouts a majestic set of eagle wings. Although having a monstrous form, she retains her beautiful face and her flowing hair.